Kampa Lodestar LED lantern a super bright battery powered light which also comes with a 9 LED torch - the torch can be conveniently stored inside the lantern. 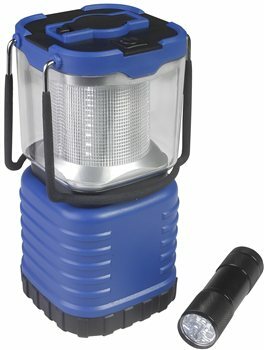 A powerful battery powered lantern which is perfect for camping trips. Expected battery life (from a good set of batteries): 50 hours (lantern); 20 hours (torch).